So i got my rainbow scroll yesterday.. and so before it hit 12am, I quit the game and started it up at 12am. I didn't accept my rainbow scroll yet but i was able to receive the day 1 reward..
maybe I can wait to use it? 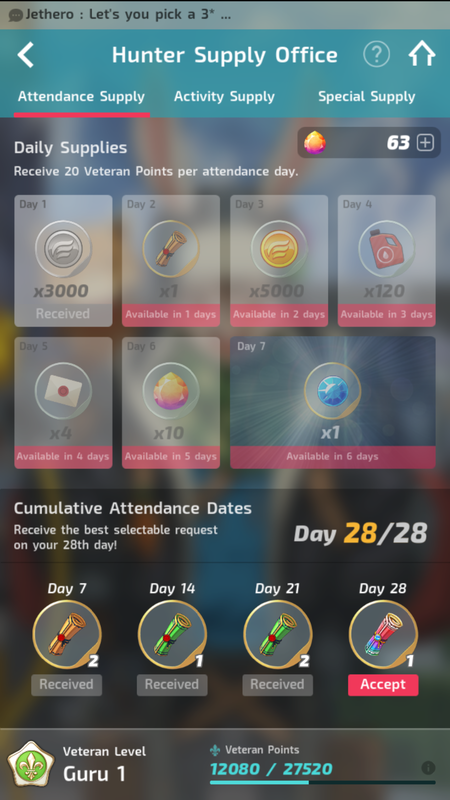 It still says I am on day 28 :^) so I might be able to save it until my next rainbow or until the next weekly reward. Well... As you are losing out on days towards the next rainbow scroll, it is actually a bad idea to hold onto it. Ohhh thats cool, maybe you have discovered something :o!! I thought about this possibilities before but I don't have the guts to really try it. Hands down to you for your courage.